Technology has always done the same thing to jobs: it bulldozes the less specialized ones (like cashiers, phone operators, toll booth workers, etc) and replaces them with the need for skilled professionals to manage that new technology. The tech startup industry is a perfect example of this, where small yet promising companies exist in part to completely destroy the old and replace it with something shinier, newer and hopefully much more useful and helpful. Everyone knows the challenges: building in NY is expensive and there’s a hiring challenge for NY Startups. As far as the businesses as a whole, I think if you’re starting a company, it’s a great place to start, there’s a ton of young talent, but there’s a lot of competition for that smaller, more specialized talent pool. New York knows this, both the state and the scene, and that’s exactly why the incoming tech university on Roosevelt Island is so important to the city’s future. But beyond NY, this talent drought continues to be a persistent problem. According to a recent study from NorthJersey.com, the biggest obstacles facing tech companies in New Jersey are finding qualified talent and accessing resources to train new recruits. And of course, these hiring woes are expanding into Europe and have long existed in the Valley, despite its prominence and obvious destination for engineering talent. So what does this mean for you? Well, if you’ve ever considered biting the learn to code bullet, now’s the time, and you don’t necessarily have to go to MIT or Stanford to make it happen. Of course, it takes a ridiculous amount of hard work to actually pick up a programing language with the hopes of becoming fluent, but if you’re even been the slightest bit worried about your job security, you might like to think of getting your hands dirty as a new sort of insurance (especially if you like speedos and trips to Brazil). In a nutshell, it’s not easy work, so most of the lazy people out there aren’t ever going to do it (unless it coincidentally comes naturally to them). This is why the jobs have always been there. For the most part, it’s a lot like everything in life: if something’s not challenging is it worth doing? 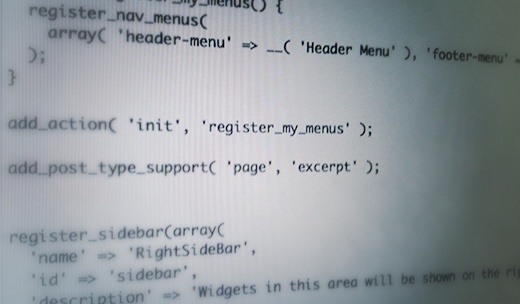 For more on this, take a look at TNW’s lists for getting started with programming here & here.